Aldeby Norfolk. 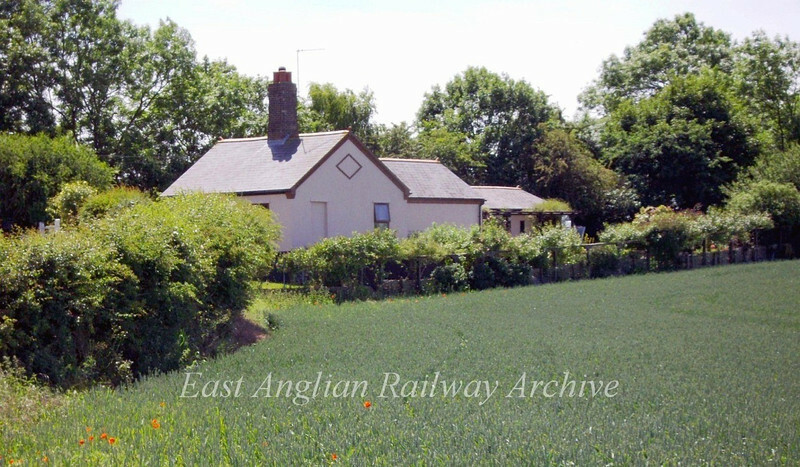 Waterheath Road crossing keepers cottage carries the distinctive diamond design of the East Suffolk Railway on the end wall. This was the middle crossing of three in close succession south of Aldeby Station. The line passed to the rear of the building. Aldeby was on the Beccles to Yarmouth South Town section of the East Suffolk Line which closed on 2nd November 1959. Image dated 12th June 2009.